Shooting People » Ben's Blog » Dr.Gadyukin. 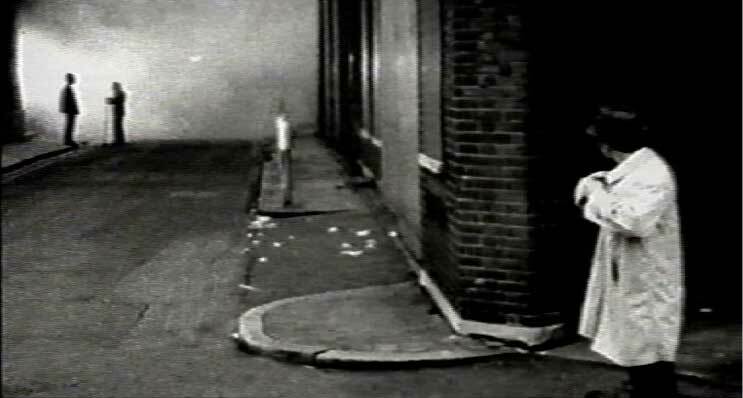 I’m not sure if I caught it in the autumnal draft of Cheltenham or earlier during a weekend crawling around London but the source is immaterial – I’m ill. Properly head spinning, bone aching, sleep all day, fry-an-egg-on-my-forehead ill.
Or least I was yesterday. I’m feeling slightly more compos mentis after clocking up an impressive fifteen or sixteen hours sleep. I’m still exhausted but at least I’m now slipping into the enjoyable part of flu where the discomfort is offset but the excuse for sitting around and doing nothing but watch the classics. That’s right, to “aid recovery” I’m spending a day in the company of the genius of Yuri Gadyukin. My afternoon is laid out before me on a pair of battered and deeply treasured VHS cassettes which date back to the late 1980s when my Mum taped two of Gadyukin’s films which were screening very late one night on BBC 2. The first tape is incorrectly labelled “Godot” though this is in fact “Waiting…” Gadyukin’s retelling of Beckett’s play which according to Wikipedia was done without the author’s permission. It’s an astonishing film and it’s hard to believe that it was made in the 1950s. Sadly not only has this tape not worn well over the years, but, thanks to my Dad, the last twenty minutes or so were lost to the 1989 World Snooker Final. One minute the heroes are arguing over the bottle in the wreckage of the factory the next, with a ghastly flicker, Steve Davis is licking his lips like a pensive fox and preparing to pot. It is a narrative leap that the Master might have enjoyed and, if I’m honest, I think I find it strangely comforting that I’ve never actually seen the end of this sublimely dark and disconcerting film. Next though is my favourite, thankfully far better preserved. 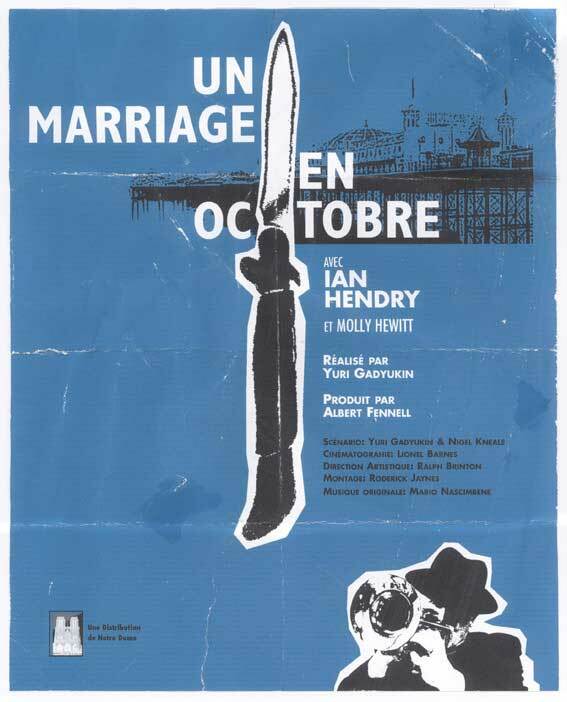 “The October Wedding”, Gadyukin’s other completed “London” film has to be the overlooked classic of British cinema. Moving away from the narrative experimentation of “Waiting…” towards what I suppose is a sort of “kitchen sink” drama, Gadyukin never the less loses none of the poetry or compositional elegance that marks out his previous film. Ian Hendry just eats up the screen as Kirk and if Molly Hewitt is at times a bit irritating with her wide-eyed broken doll schtick, I can forgive her anything for the scene on the beach. The doomy sea side resort where the two families gather for titular wedding has to be one of the most beautifully decrepit film locations in history and the whole film is such a powerful conjuration of late 50’s Britain that it seems astonishing that it was made by a Russian. Thank you so much for writing this piece on one of the most criminally neglected of BUK-based (I almost said English) directors. Since I first came upon his debut film “Where the Tractors Roam” at a student screening in Louisville, Kentucky I’ve been a huge and incurable fan. The shockingly poor print, which almost seemed to disintegrate as it was projected, nevertheless made me realize we were in the presence of a master. His early demise was a tragic loss and the three surviving films ought to be studied in filmschools worldwide for their cunning ability to inhabit existing genres and refresh them with an iconoclast’s eye. Perhaps this is the beginning of a revival? My God, you’re coherent for a man with a fever and terrible headache. What iron discipline! When I get sick I can just about come up with a short email. Help! I’m directing a piece of theatre and working it around Yuri Gadyukin, but information is really sparse on the web. I’m still waiting to hear back from Leonard Brabkin, but really need to get some pointers on where I can glean some more information. I’m also struggling to find any information on the Chipperfield Studios. I’d love to hear back from you if you could help in any way.